You can take long walks through woods and paths, go and see animals and visit the manège, only 2km away, you can watch hand milking and olive picking from which the famous olive oil ‘Olivastra Seggese’ is extracted, recognized with DOC and DOP marks, registered and protected designation of origin, excellent for its low acidity percentage (0.1%). 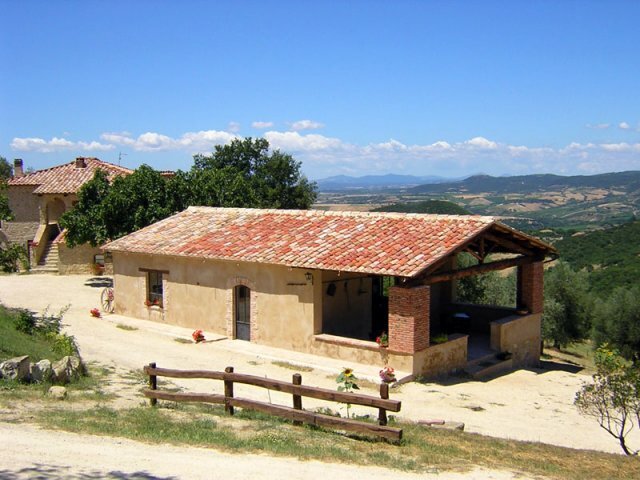 The farmhouse has a large outdoor swimming pool and only 20km away from here you can reach and visit the charming Moltalcino, Bagno Vignoni and Pienza. This region is rich in chestnuts and it is perfect to go mushrooming and you can also go to several festivals, organized with these products.